Homeschool Resource List: Are You On The List? 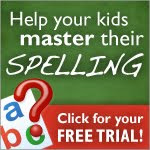 Do you have a homeschool blog? If so, are you on our homeschool blog list? 2) Email me with your blog address. I have discovered a wealth of information that has helped me tremendously in our homeschool journey just by keeping up with other homeschool blogs. That is why I have chosen to add the homeschool blog list to the site, so that it can be used as another resource tool!!! If you would like to view the current list, simply click on the pencil below and scroll down to view the list on the right side of the page.